51zero events are reliant on our funders and supporters as well as a growing number of partners and collaborators; we draws on a versatile pool of talented and committed artists, a network of volunteers and a small, dedicated team. Their support and generosity make activities possible and the majority of our events free of charge. * Selected under the European Cross-border cooperation programme INTERREG IVA France (Channel) England, co-funded by the ERDF. Investing in your future. RECREATE is a partnership of local authorities, other public bodies and the third sector situated in small and medium sized urban areas in the East and South East of England and across France, which are suffering the adverse effects of the economic crisis. RECREATE will boost economic prosperity and job creation in our town centres by growing new business clusters from the creative industries and unlocking social and physical regeneration through creative enterprise and public facing initiatives.a ICR (Interregional Culture-led Regeneration) aims to stimulate the growth of the creative and cultural industries in the South Coastal region of England and Par-de-Calais, Normandy and Brittany. It will employ innovative models of creative knowledge exchange, cultural interventions and audience engagement. These will reconcile and refresh activity concentrated in cultural urban centres with the skills, knowledge and creative talent working in the coastal communities and its hinterland. ICR aims to reinforce social cohesion and cultural identity within the partner areas through collaborative cross-border programmes and project initiatives. ICR aligns with the organisation of 51zero Festival and the Recreate project. 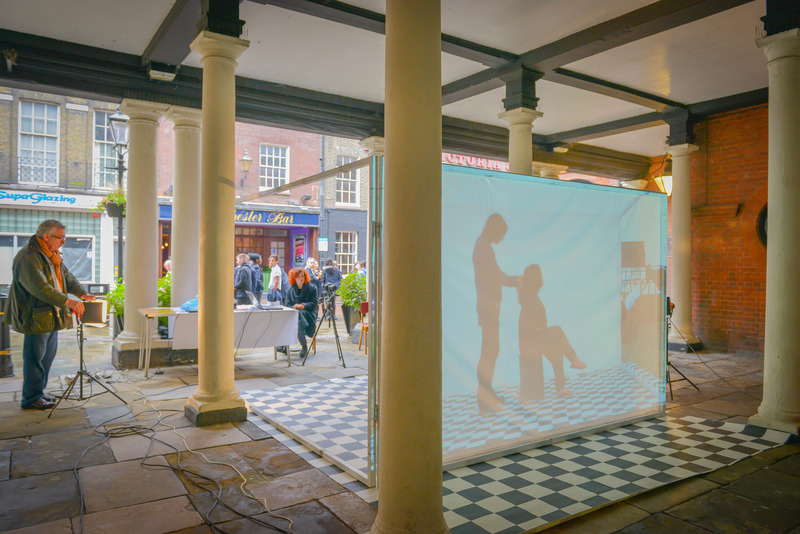 With a focus on animating public space and engaging new audiences through a series of site-specific installations and special screenings, the festival extends the traditional art experience by showing work in non-traditional art spaces as well as museums and galleries. 6 exhibitions and 10 public events were organised thanks to the ICR project, ranging from workshops and talks on the cinematographic industry to film competitions, exhibitions and film screenings in various places of Medway, Strood, Rochester and POP Creative space in Chatham. With our events, we reflected collaborations through a programme of single screen work, performance, and quirky installations by students, alumni and lecturers from University of the Creative Arts, University of Kent and L’École Supérieure d’Art et Design Le Havre-Rouen, together with established and emerging artists from France, Medway and further afield.